I live my life by Guidance. For about 9 years, I chose to follow the guidance that I received consistently to be a “spiritual nomad”, as a friend dubbed me at the beginning of my journey. I had no clue that this would last as long as it did. Now that I am adjusting to having a steady home, as well as to having a reliable vehicle, what I have learned from that nomading journey is empowering me in ways I had not expected. Below are the guidelines I received as guidance and followed nearly always; there were a few times that I was unable to fully comply with these, but I always did my best, sometimes my utmost, to do so. • Ask for refuge without attachment to outcome. One time I was in a state of desperation and couldn’t get out of it; I begged a friend to help me, and she reluctantly agreed to let me stay one night. I was very grateful. • Accept refuge only when it is a win-win situation. Some situations were marginal with respect to this; sometimes my and my host’s boundaries around this were pushed, although not crossed (that I am aware of). Sometimes it was just an okay-okay situation. • Do not pay rent. Every once in a while I chose to pay a little for a place to stay (a night in a cheap motel can change everything). This guideline was dropped about 6-7 years into my journey, when my guidance shifted from “Find refuge” to “Find a home”. I continued my nomading, asking for refuge, sometimes paying for a room for a few days or a week at a time, while I worked on finding a home. I did live in a home for the first 5 months of the year last year, but did not find a place to settle into until early this year. • Honor your host’s way of doing things. I did my best with this; I hope my hosts have felt honored by me in their homes. • Offer at least one service to your host. Most often I would gift my host with a divination card reading. I also developed a habit of being a “dish fairy”; I would do the dishes late in the night, leaving a clean kitchen for morning. • Practice gratitude throughout your day. This practice began at the onset of my journey, when I moved to Hawaii and tried to live there (the first time) on my land on the Big Island. The transformational energies of Pele (Goddess of the volcano) were very strong for me, and during my first month there, She offered me the choice of feeling grief or gratitude. As I was experienced a deep sense of loss in my life (including long-time friends falling away, through betrayal and blame on their part), grief was arising constantly. I kept choosing gratitude instead, as a practice, and have continued practicing gratitude in my life ongoingly ever since. • Practice being quiet and having little or no impact. One member of a household I was staying with said to me, after 3 days, “You’re like a ninja, you are so quiet!” I felt appreciated in my efforts to follow this guideline. • Leave when asked to. This one came more from my own established sense of ethics, based on a past experience. Before I began my nomad’s journey, I had a friend who was without a home for a while and I offered to let him stay with me for a short while (unspecified). After quite a while, I asked him to leave in a day or two, as soon as he could find a place to go. He agreed. After a week went by, he still hadn’t even tried to find another place to be. This did not sit well with me; I handled the situation badly, in my own estimation. Having had this bad experience with a win-win turning into a lose-lose, I chose to follow this guideline on my own journey of seeking refuge. • Surrender in all situations. This is and has been a key for me in my life; I do my best to surrender and allow What Is to Be. Now in my early sixties, I am discovering things about myself that are rocking my world. I find myself powerfully drawn to serving the awakening of Indigo Children (grown up now), and in my research on how to know if someone (including oneself) is an Indigo, I am now certain that I am an Indigo; I was an Indigo Child. I did not understand this about myself until today. Many seemingly random memories are reconfiguring as I recognize the signs that have been there all along. One sign is that, given a necklace as a gift in my early twenties, I chose to wear it constantly for many years. It was an image of Isis, who is associated with the third eye chakra and the color indigo; these are also associated with Indigos. I now constantly wear another necklace that is a different image of Isis; I do not question my attraction to this, I simply do it. We Indigos know what we are called to, we often don’t know how to do what we are called to. As we are generally misunderstood by ‘mainstream’ society, advice and help offered by others frequently does not serve us. We must find our own way, yet we also must rely on others for assistance as we make our way in the world. Indigos are here at this time to bridge the seen world with the unseen; we are aware that there is more than what our physical senses perceive. I am feeling both humbled and honored to be in the company of the Indigo path and consciousness. Take your problems from overwhelming to manageable. Learn how to resolve any of your problems using tools – tools you already have, tools you can acquire, tools provided by others. Turn your problems into projects. Imagine a life and spiritual coach who uplifts you, channels for you, and empowers you in fulfilling your intentions and meeting your goals in life. Imagine being supported in identifying and moving past your barriers to better health, more satisfying relationships, greater financial flow and spiritual evolution. 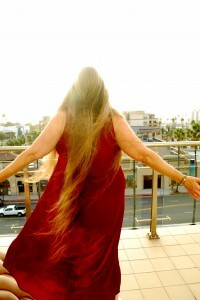 Coaching with Amrita provides such loving support, on both the physical plane and the metaphysical..
Amrita has helped thousands of people over the past 30 years to live more satisfying lives, with more love in them, through her channeling and many other modalities of personal growth and spiritual development. She helps her friends and her clients to feel better about themselves and their circumstances, and to find ways to resolve the problems that life brings. To schedule a free consultation with Amrita so we can determine together how you can best be supported in living your life better, use our Contact Page to send us an email. If you include your phone number, you will be contacted by phone as well as by email. 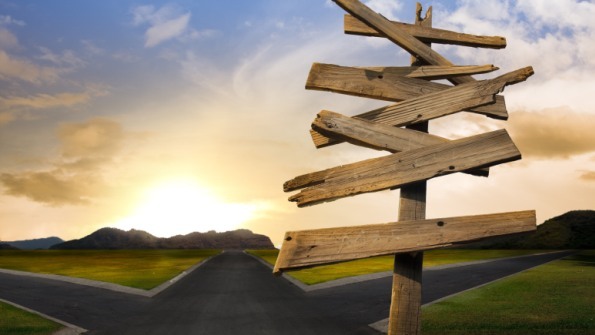 Right now, today, I am aware of being at a crossroads. Five years ago now I moved from the San Francisco Bay Area, where I had spent more than 50 years of my life, to the Big Island of Hawaii. I left the mainland from San Diego, embarking on an adventure I knew nothing about. That time of living in Hawaii lasted four months. That four-month period was one of the most intense of my life. Those of you who know Pele, the volcano goddess of Hawaii, can understand that She had a lot to do with that. Thus began a five-year journey of being a spiritual nomad, moving from place to place, staying with friends and family, and living in Hawaii for a second period of time. I have lived my life by Guidance for many years; this time of being the nomad had been the result of listening to and following my Guidance. Now Guidance is saying that this time of moving around is coming to an end, that I am to settle into a home situation, that things are changing rapidly for me. I am reinventing myself as a conscious entrepreneur, creating brand new products and a whole new approach to my services. And – I am writing more, and aware of a yearning for a place to be where I can write often and consistently. It is now time to begin writing the books that are living within me. I have spent most of the past five years in the San Diego area; I have come to be a part of and share exquisite divine love in many community circles, and I have many dear beloved friends here now. My life is richer by far for my spending time here. I am certain there is more to come in sharing time and love with the people of these communities. For me, and for many, it is time for radical change, and therefore radical trust. It is time for me to follow radical Guidance. I do not know yet what will emerge from this inquiry I am currently engaging in. Which way am I going from this crossroads? The direction will effect my life, and my life’s work: serving the the Awakening of us all. “The Living In Grace journeys are fantastic. I would recommend them to others opening up to find themselves. This is a tremendous way of doing that – to be the best you, you can be! Above all, I am dedicated to being fully committed to who I am and who the Creator wants me to be. I have been on my own spiritual journey for over ten years now. The Living In Grace course has enhanced this soul’s adventure, zest, and joy for life. The meditation tools can and do greatly assist the works you are already doing, assisting you in becoming the best version of you imaginable. The course is a great complement to the work I have begun on my own, and confirmation that it is enhancing not only my life but also that of those around me and of Gaia. I think the most shattering change I have experienced since taking the course was the shattering of my judgments into compassion and understanding. Try as I might I could not move past that major block on my own. It was as if I was carving away at a monument with a spoon when I really needed a digger to move away the dirt and debris so I could see the whole picture instead of half of it. For me that single tool opened up my eyes for greater expansion of my awareness. One of my totem animals is a condor, who, through meditation, shared that I was not drowning in a flood but was merely stuck in a puddle. My hatred of humanity, including myself, for all the pain, destruction, pollution, cruelty, scarcity and anger we’ve created collectively blocked me from seeing the whole truth. While all those things exist, there is also so much abundance, beauty, joys, peace, and love – like unopened Christmas gifts waiting to be discovered. The how to live with and fix all our self-inflicted human problems is through compassion and understanding. Everything has its purpose and lesson. Ideas, new possibilities for resolution of animal and human cruelty, even pollution, are flowing into my thoughts on a regular basis now – things I have never thought of before. The sheer desire to work with others to create solutions for all our issues has become ingrained in me now. I am so excited to be alive on this planet at this time. I can attest that there was a time not so distant where that was not the truth. How do you do it? How do you live in graceful trust, not knowing where you will be staying from one day or week to the next? This question has been asked of me many times. How do I do it? I have faith, I practice surrender to the Divine, I question and follow guidance as it resonates for me. How did I learn how to have such radical trust in the Universe? I have spent my life learning and practicing various techniques and paths, and even creating some, to that end. I was blessed on my fortieth birthday by many of my friends, one of whom said, “My wish for you is relentless pursuit of the Truth.” I already was in such a pursuit, and have continued to be driven by a burning desire for Truth, Love and Enlightenment. I want to know who and what I am, directly, and I want to live a life of rich connection and blissful communion with the Divine. And I do! Currently, I am following guidance that is telling me to bring my offerings to the world, to people who are Awakening and need help with that. I have mastered many modalities, and the integration of them, and bring whatever is needed by the individual (you!) to the table to support you in your pursuit of Self, Love and Truth. Another answer to this question is that I regularly dive deep into the shadows of my being, to meet those aspects of my experience which could easily be avoided in the busy-ness of ordinary life. You may have heard that the edge of our comfort zone is where growth happens; willingly riding that edge promotes growth and transformation for me. There are challenges to staying open to one’s shadow; I have embraced giving up being right, I have let go of all that I think and feel about what I am doing in my life many times, I open to the unknown within myself and in my life on a frequent basis. This is the ‘road less traveled’. I have had many teachers, and many people in my life to support me through the various stages of my evolution. This path of Awakening is one we must each walk ourselves; no one can do it for us. And, we need each other. We need help, guidance, new perspectives to consider, and community. We need to know we are not alone in having to walk our own path! After nearly 40 years of experience transforming and helping others to transform, I am ready and eager to support you in your transformations along your path of Awakening. It is not an easy path, nor is it always pleasant. It takes work, and dedication, to evolve. Are you ready to dedicate yourself to your own awakening? Are you ready to meet the challenges? If so, I can help you with that. I can help you with cultivating radical trust in the Universe, in yourSelf, in the unfolding evolution of your consciousness. Are you struggling with embodying your current awakening? Do you find yourself still living in fear, anxiety, confusion or self-doubt? Are you continuing to relate with your loved ones from your old patterns? We help transformational teachers go from living in drama from the reactive mind to living in grace from the heart. Our program reduces fear, improves your relationships, and brings ease and peace to the body, mind and spirit. Those who are awakening, such as yourself, are experiencing rapid shifts of paradigm and radical leaps in consciousness, and our 12-strand DNA is coming online, as it were, activating our innate ability to embody the so-called higher states of consciousness as human beings. Our time has come, and it is quickening. The urgency to walk our talk and embody our truth is upon us. Are you ready to invest in your own awakening? The time is now, and here and now we offer you the following opportunity to transform your life, inside and out, know peace instead of chaos and ease instead of struggle in your relationships, in your meditations, in your awakening. Living In Grace could be of tremendous value to you whether you are only wondering if you are awakening or if you know you are. Contact Amrita to schedule a free, no-obligation consultation to find out if Living In Grace is a fit for you. One session per week for twelve weeks, at a time convenient to you (by arrangement). Sessions are recorded. Bonus: Thirteenth journey included in an extra free session at the end of the twelve weeks. This offer will not last long; the number of openings is limited, and the offer will disappear when they are filled. Amrita has been helping thousands of people open their hearts, and transform their relationships and their lives, for more than thirty years. Amaritha began to channel through her in August of 1987, at the Harmonic Convergence, arriving in consciousness from another Universe to assist us as requested. Auralia arrived similarly in August of 2007, joining with Amaritha and Amrita as the Triunity that is now the Mystery School of Extraterrestrial Shamanism. Together, they have been delighting and inspiring teachers, healers, lightworkers and awakening ones for many years. To schedule a free one-hour consultation and find out if this program is a fit for you, contact Amrita now! Intimacy is something we all need as human beings. There are many kinds of intimacy, and the one that fulfills me is spiritual intimacy. What that means to me is that we relate with each other from our essence, communing heart-to-heart. This doesn’t mean that our ego and our personality are ignored or denied, rather that all aspects of our being are honored and acknowledged; we bring our whole selves to our interactions. Spiritual intimacy requires us to show up fully, in the moment, moment by moment, speaking our truth with compassion and kindness. It challenges us to be open to the other as they are showing up in the moment of now. We are already connected, whether we are aware of it or not, and when we relate in the field of that connection, spiritual intimacy occurs. Intimacy includes a sense of belonging together; when we relate from our experience of interconnectedness, we have an awareness that we already in a state of oneness, that we are already together and that we belong there. Another challenge of spiritual intimacy is the willingness to be vulnerable, both in how we share ourselves and in how we receive the other’s sharing of themselves. Vulnerability is an inherent quality of being; we cannot not be vulnerable. To meet in spiritual intimacy is an acknowledgment of that vulnerability. As awakening ones, we have a growing awareness of our essence, of our nature as Love itself, and of our multidimensionality. Relating and sharing ourselves as multidimensional beings is ultimately fulfilling; we show up as we actually are. It is nourishing to the soul. When we share ourselves as multidimensional beings, showing up as all that we are, it is an offering of our whole selves to the relationship. Each interaction is an opportunity to express our truth, be vulnerable, and share unconditional love. The more we do this, the more we are empowered to live from the truth of our being. To live from the truth of my being and to relate with others doing the same is ultimately satisfying. I invite you to join me in spiritual intimacy. There are 64 Posts and 45 Comments so far.